Your tablet is more than just a standard tablet; it is the keeper of recipes, the player of movies, the navigator of directions and the holder of the Internet information that we need throughout the day. As the explosion of apps has extended the functionality of your tablet, we need a holder that can give us equally convenient, fingertip accessibility to that information at all times. This extends from cooking in the kitchen to driving directions as we travel. 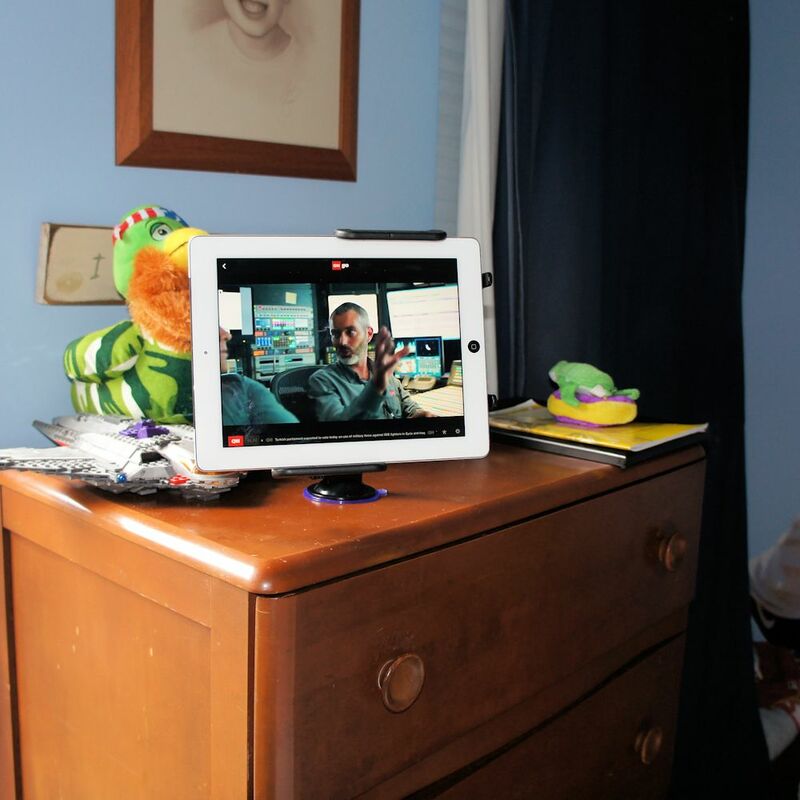 Fortunately, Gomadic has come to the rescue with our unique Suction Cup Mount / Holder Stand designed for your tablet. 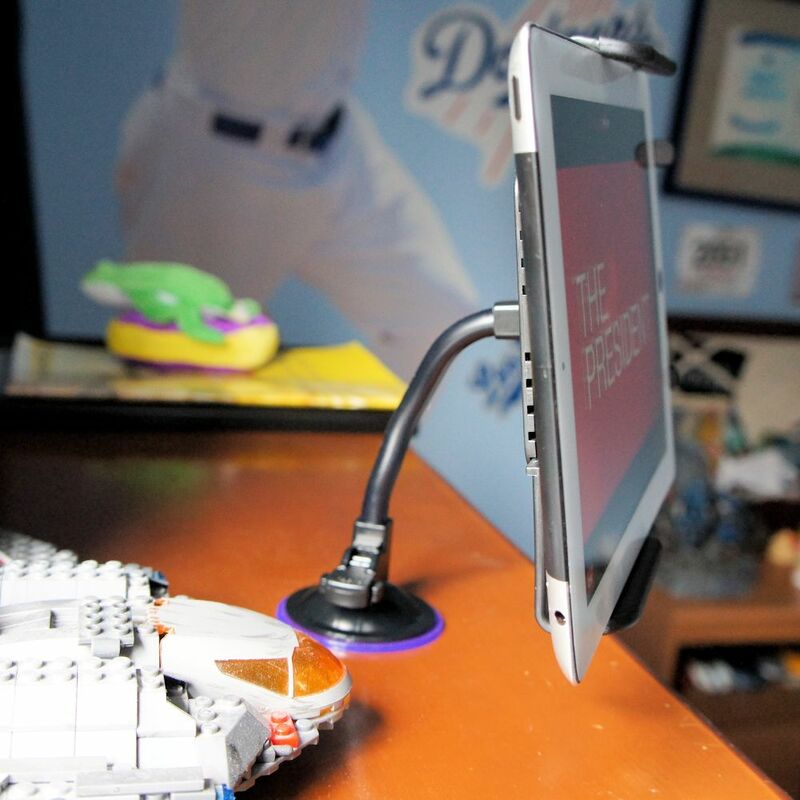 With this unique product, you can safely situate your tablet so that it is always in perfect view and ready to assist with your daily tasks. 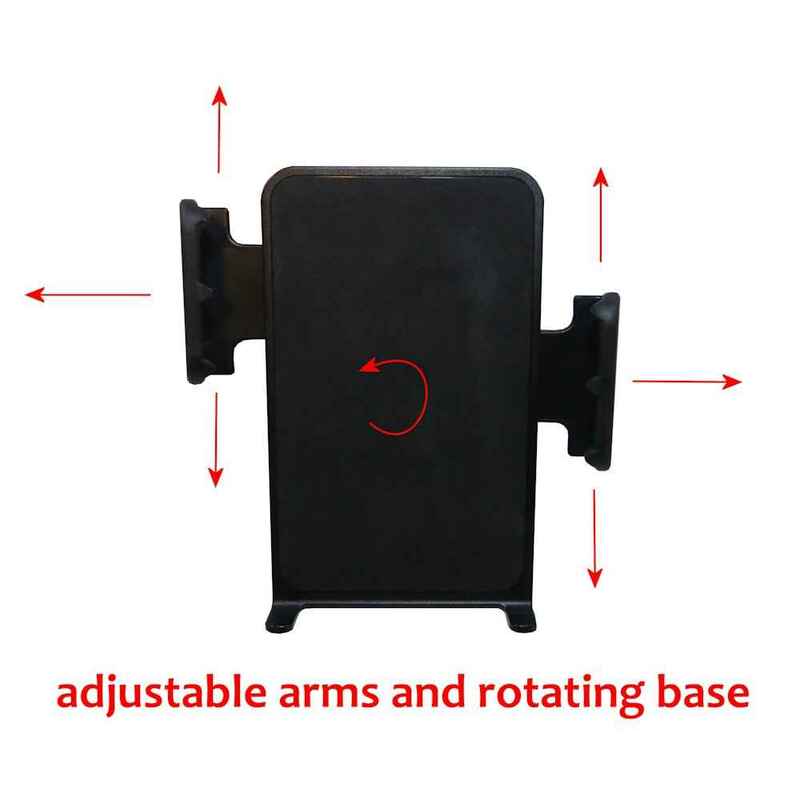 With a flexible, yet stable gooseneck mounting arm, a large, secure suction cup base, and a padded, non-slip support platform, the product has endless applications. Solid construction, with carefully placed foam and rubber surfaces guarantees that the tablet will be safely held with no scratching to the delicate finish. Of course, like every product Gomadic has ever made, this is backed by our Gomadic Lifetime Warranty so buyers can buy with confidence!